Shchyrets is an urban-type settlement with a population of about 5,700 people located in the Lviv region, 29 km south-west of Lviv. This settlement, first mentioned in 1113, has a rich history. There are several interesting architectural monuments here. 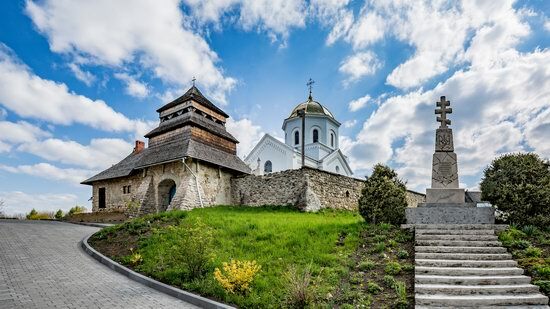 One of them is the Church of the Nativity of the Blessed Virgin built on the basis of the fortifications of Shchyrets Castle on the Golden (Church) Hill. Shchyrets on Google Maps. Photos by: Maxim Ritus. This entry was posted on Monday, April 2nd, 2018 at 10:45 pm	and is filed under Uncategorized. You can follow any responses to this entry through the RSS 2.0 feed. Both comments and pings are currently closed. 23 mySQL queries executed in 0.211 seconds.